Does not reveal all that it knows. It is all. It is one. It is none. But the live energy within. 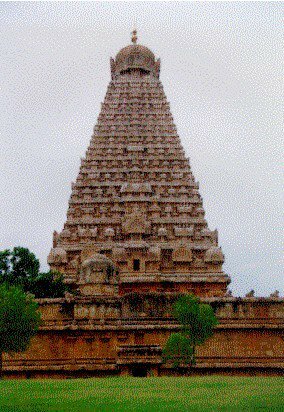 3rd century BC to 14th century AD: The backbone of temple architecture is the presence of Guilds across various kingdoms in India. Their orders come from the royal architects and funds come in from the ruling patronage. Architecture and sculpture sustained their expression on temple stone walls and pillars by the Guilds. Kings didn't define the kind of temples to be built but patronized them, but the Guilds gave the temples and monasteries their form and structure by following the canon's of architecture laid down by the ancients, with respect to their faiths. The deities to look for in a Shiva temple would be, the Shiva linga stone within the Garbha griha, which is strictly the aniconic symbol. Shiva in human form is never found within the garbha griha. The wall behind the Garbha griha will always have the Lingodhbhavamurti (depicting Shiva's supremacy over Vishnu and Brahma). The south wall will always have devi/ Mahishasuramardhini. She was later replaced by Parvati. The north wall depicts either Ganesha and Karthikeya or other forms of shiva like Dakshnamurti, Trimurti or Harihara(this order changes from temple to temple). Older temples depict only Shiva on all walls. 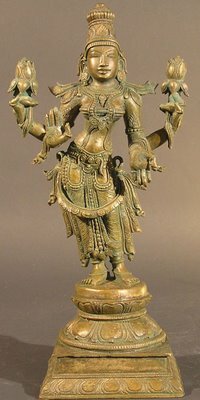 The devi in the form of Parvati is depicted standing with him (Kalyanasundaramurti) or ardhanarishwara, else she is depicted as Durga/Kali dancing with Nataraja. The others: Saptamatrika only in ancient temples, Bhringi on some walls but not in a niche, Chandikeshwara, Rudra, Ganesha, and Karthikeya in separate shrines if they are not on the niches of the main sanctum. If there are depictions of Vishnu and Brahma, they would be in praise of Shiva or in submission. The only exception with any reference to the Ramayana is Ravana Anugrahamurti where Ravana is depicted shaking mount Kailasa. He was an ardent Shiva Bhakta. Nayanars take their place on the precinct. 108 lingas are placed in a single location or around the main shrine. The dashavatara is found on all the exterior walls of a Vishnu temple, as well as on the pillars. Large depictions in older temples would include Trivikrama/Vamana, Narasimha, Vishnu seated on Ananta. Vishnu within the shrine chamber(garbha griha) is depicted lying on Ananta in the cosmic sea, else he is depicted standing in Samabhanga pose (standing straight backed with hand resting on mace). 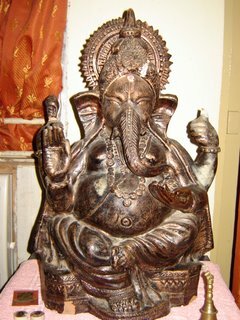 Devi is often depicted with him in the Varaha form. Krishna is very rarely depicted, if at all as Krishna Govardhana and krishna stealing butter. Scenes of the Ramayana adorn the outer walls, but do not occupy the niches. Icons of Shankha and chakra can be seen around the temple. Garuda and nagas are often depicted, nagas specifically are in submission. Hanuman is sometimes depicted in Vishnu temples, either on pillars or atop the dhwajastambha in the place of Garuda. He is a Shiva incarnate in possible submission. Alvars are depicted on the temple walls and pillars. 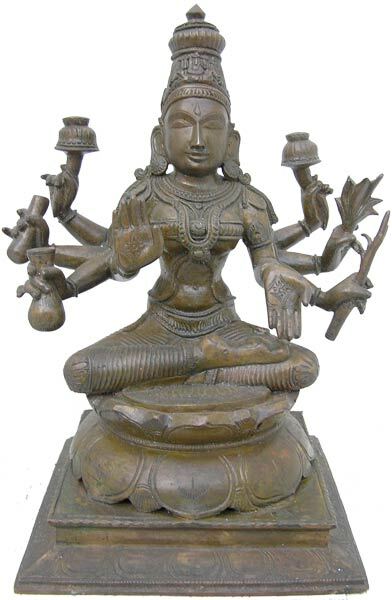 Mostly depict various forms of the Devi, in soumya(soft) rupa and krodha(fierce) rupa. 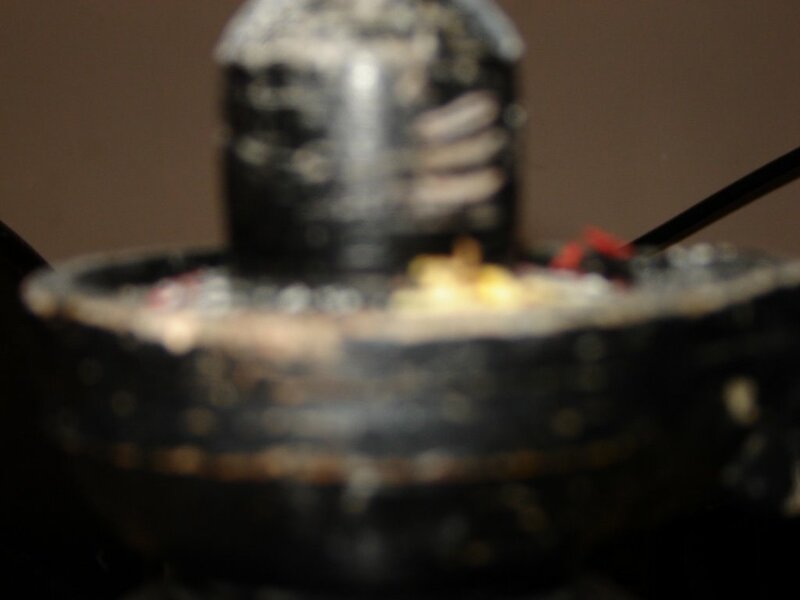 All devis in shrines mostly face south, be it from garbha griha, or in niches of shiva temples. Very rare depictions of Shiva lingas, which is almost close to negligible. Walls are adorned by worshippers, both royal and common folk. Buddha depicted in certain mythological events like Miracle of Sravasti(buddha multiplies himself a 1000 times to beat his religious rivals including Mahavira), Parinirvana(Buddha in the state of Nirvana), Temptation of Mara(Buddha attacked by the three damsels and a whole demon army sent by Mara), Buddha begging alms from his wife. Most often depicted are Buddha giving a sermon or standing. Profusely painted on walls are the Jataka tales of Buddha's past incarnations. Padmapani and Maitreya come in later. Older Hinayana phase elements to look for are stupas, pair of slippers, pair of feet, and a bodhi tree with a pair of feet beneath it. Hariti and Panchika, where hariti has a child on her lap. She is the Goddess of smallpox, a child eating ogress whom Buddha converted into a protector. Panchika is her consort and also very well known as Kubera yaksha. Jain tirtankaras and more tirtankaras. Gomateshwara and parshvanatha are a vew well known tirtankaras who can be seen in the Garbha Griha and on the walls of the cave temples. Nagas are found everywhere, and so are river Goddesses, mithuna couples and gandharvas. Salutations to you, Salutations to you. To live again and feel the hands of calm..."
Girivalam, in silence: On a full moon night Thiruvannamallai has a charm of its own. On one end it hosts a million pilgrims who walk the sacred path of Girivalam, and on the other nothing stirs in its silence. Every experience revolves round the sacred hill that hosts far more shrines than whats found scattered around the sacred road. We find all the Gods here, starting with Ganesha, leading the way to the Mother Goddess to Shiva Lingas scattered all over, popularly called the Ashta Dikapala Lingas. Krishna occupies a special seat near a temple tank along the road. So what makes Girivalam so interesting! A walk down the paths that lead towards the hill off the main road, covered with trees and forests have more shrines than what we would imagine. One such mud road stands silent, with a lot of thorny bushes blocking the pathway with a forbidding picture a Kali at the entrance.The first though is that there could be a shrine for the Goddess further inside, maybe with a stone altar in front of it for animal sacrifice. But interestingly it is quite a different story. We decided to walk into the forests surrounding the hill and debated on what we would do should we encounter some wild animals or snakes in the early evening. Our heated discussion came to an abrupt end when we came upon a silent pond, bathed in traquility far away from all mankind right in the middle of nowhere! A silent square pond with lots of fish and frogs, green with life with low branches of trees almost kissing its surface brimming with life... we could have almost taken a dive into its cool waters. The pond looked deep and clean as the sun's rays penetrated through the green canopy of leaves. Along the side were large stones with arrows pointing in a direction that indicated this was the ancient path of Girivalam around the main hill. This peaceful setting, the ancient path that disappeared into the forest, shielded from all the noise against the hill, also had a dilapidated house next door with a gaping hope to the side. As we explored the place, we found that the gaping hole led down a stairway to rooms under the earth right next to the pond. Too close i thought. Filled with rubble with the cieling almost falling in, we decided not to get too adventurous and came out of it hoping not to meet any lizards of snakes on the way out. Once outside, this tranquil little place, spoke of an underground chamber right beneath our feet. We were just left to wonder what it could have been used for! Excited about the find but a little disappointed since we did not find any shrine for the Goddess, we walked back to civilization promising to come back here surely some day. We drifted through the evening as we saw the full moon slowly climb up the sky from behind the great hill lighting up the whole forest again after the sunlight dimmed out. The night was silent with a cool breeze drifting through the trees. Clouds scattered around the sky drifted over the peak of the hill almost giving it a natural halo that revolved around it for a long while. It was a fantastic sight! We walked to the Kannappa nayanar shrine embedded deep within the forest, our path now lit up brightly by the moonlight. Kannappa nayanar shrine stood silently ahead, with a stairway leading up to the small sanctum. We walked up slowly, after our conversation merged into the silence. None of us spoke, for what we experienced was true beauty and tranquility at its best. We sat back on the stony floor, each to himself, bathed in the streaming moonlight, looking over the canopy of trees. The gentle breeze brushed over us leaving behind a cool comfort. The magestic hill stood behind, as my eyes rolled over from the floating clouds outside to the chamber within. A silent Kannappa Nayanar looked straight at me through the small shrine where a small oil lamp lit up his face and his silver plated eyes. It was simply awesome! Kannappa Nayanar stood there, reminding us of lost potency in spiritualism that once rules these lands. Girivalam will live forever reminding us of every saint who made a mark in our history! Walking the same path is a choice we make. To be lost in Your grace. what is the Truth behind diversity? why is there this sharp sense of difference at all? why did the original Unity split at all? if Unity and Oneness are such wonderful and divine states, what is the raison detre for these infinite splinters of the One?